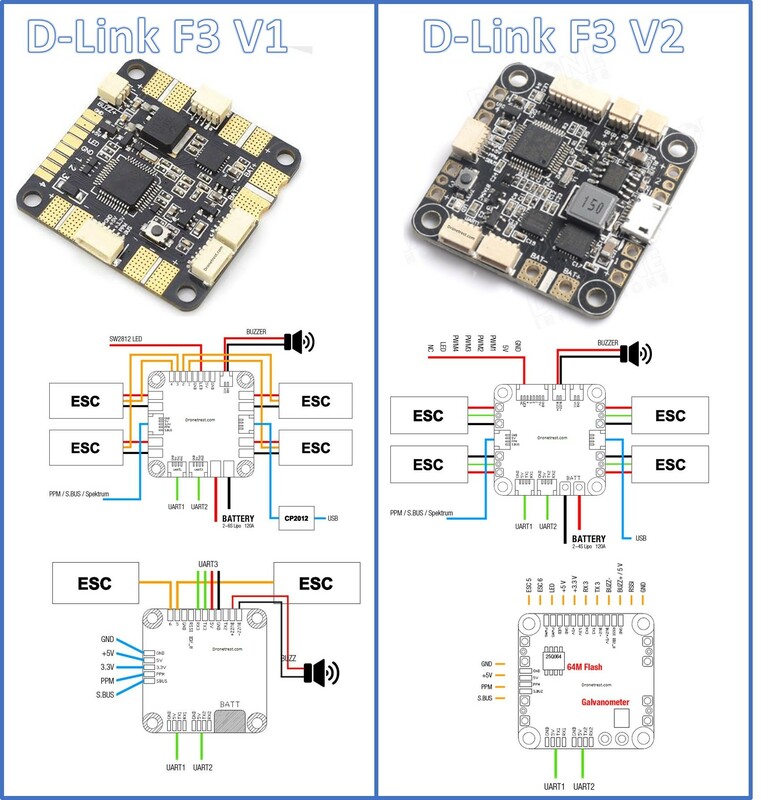 Along with the new Tyrant S 215, diatone have included an updated version of their all in one Dlink F3 flight controller. So i figured its a good idea to talk about the differences. If you already have the D-Link, there is not much need to rush out and purchase the V2. The new V2 is mainly just a hardware revision rather than an entirely new flight controller i.e both V1 and V2 use the same MCU, the same sensors and have exactly the same specs. The only real difference is that the V2 has an improved PDB layout. Added a Galvanometer (current sensor), not sure about its exact specs but I assume it will be rated to 120A like the PDB. So the new V2 of the Dlink board has some cool extra features but I don’t think there is any particular reason to rush out and buy one if you already have the V1 as the only new things are a blackbox recording and a current sensor. Both of which are great additions but you are not going to get any extra performance as they both use the same IMU and MCU.